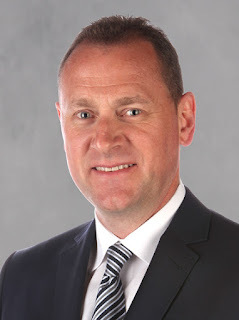 "Hockey sense," replied Glen Gulutzan with conviction, not even waiting for my question to be finished. The Calgary Flames coach wasn't being rude in his post-game presser on Friday night. He just knew where I was going with my query and it's a conversation that's not new. Far from it. 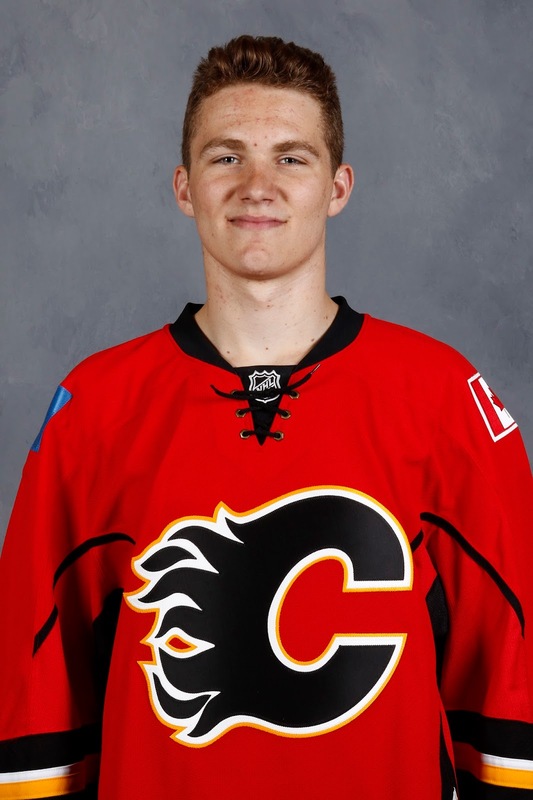 Every game, it seems, we're left marvelling about a particular play made by 19-year old Matthew Tkachuk. He may be a rookie in terms of NHL experience but he's got the hockey IQ of a 10-year veteran and it's on display every night. "His gamesmanship, his hockey sense, his ice awareness..." continued Gulutzan. You get the sense the coach is already already running out of descriptors for the mouthguard-chewing buzz saw, who continues to turn in impactful efforts night after night as a central figure on the Flames top line. Make no mistake. This isn't your run-of-the-mill, replaceable, mix-and-match left winger just along for the ride with the veteran pairing of Mikael Backlund and Michael Frolik. He's very much an equal contributor to the 3M line, leading the way with a goal, an assist and a plus-3 in Calgary's 3-1 win over Dallas. On a night where the spotlight was shared by two guys expected to deliver big performances at this time of year -- 31-year-old goaltender Brian Elliott with 24 stops for his 10th straight win, 33-year-old team captain Mark Giordano with a dominant one-goal-and-two-assist evening -- right there with them with another superb game was Tkachuk, a kid who is barely old enough to shave. "I don’t really think about that too much," said Tkachuk post-game, when asked about being an important part of the team. "I just want to be part of a team that can make it to the playoffs. Ultimately the goal is to win. Everybody is doing everything they can to make the playoffs." The play on this night that made everyone stand up and take notice was on the Flames third goal. After intercepting the puck deep in his own end, Frolik flipped it high to clear it out of the zone but while the puck was in the air, it was deflected by the high stick of Tkachuk. Immediately up went the arm of referee Trevor Harrison. 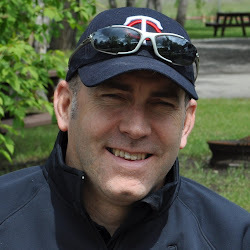 As soon as Calgary would touch the puck, the play would be blown dead and the face-off would be back in the Flames end. Well aware of the situation, Tkachuk follows the puck up the ice and over the Stars blueline but doesn't touch it. He buys a little bit of space with a subtle shove on Stars defenceman Greg Pateryn. Then with the puck stopped, Tkachuk waited nearby like a hunter that had just set a trap. Sure enough, falling right into that trap was Stars forward Adam Cracknell, who skated by and tried to pick up the puck only to be ambushed by Tkachuk, who immediately knocked away with a quick stick and got the puck back to Giordano at the blueline, whose long wrist shot deflected in off Dan Hamhuis. "Just a smart, smart play," said Giordano. "His hands, he's so quick in tight. That's his real strength. The guys touches the puck and he immediately strips it from him." You can see why last season in the annual OHL Coaches Poll, Tkachuk was runner-up for smartest player in the Western Conference, behind Dylan Strome. "Just his awareness, that's why he's so good," Giordano added. "He's aware at the blueline, he's aware in our own zone and he's aware around their net. He's going to be a good player for a long time because of that." For another example of his intelligence, Gulutzan offered up a subtle decision Tkachuk made in a game earlier in the week. "You saw it with a change the other day," said the coach. "One of our guys was trapped on the ice. (Tkachuk) recognizes it, takes his spot, and tells him to change. He's just got real good game awareness." With 11 games to go in the regular season and the weight of the games steadily increasing as the pressure of the playoff race mounts, you see zero signs of Tkachuk wearing down -- although if he did, you certainly couldn't blame him. This is a kid coming off the shortest summer of anyone on the Flames roster. His overtime goal that won the London Knights the Memorial Cup came on May 29. Add in development camp in early July, U.S. National Junior Evaluation Camp in late July (although he did not skate), Flames rookie camp in mid-September, it's been seemingly non-stop. Yet as if the team is popping a fresh pair of Duracell batteries in him every night, he just goes and goes and goes. If he's feeling fatigued in the slightest, he's hiding it well. His two points on Friday -- he also neatly steered in a slick feed from Giordano for the game's opening goal -- gives him 46 points on the season. That has him tied for third on the team behind Backlund and Johnny Gaudreau, who each have 49 points. Not bad. I fully expect him to be second on that list by the time the season ends. It's been a phenomenal season and the native of Scottsdale, Arizona, is deserving of way more Calder consideration than he's getting due to the off-the-charts calibre of rookie class in the NHL this season. Is he the best first-year player in the league? No. Auston Matthews and Patrik Laine are legit. Mitch Marner is a tremendous talent. Zach Werenski is having a standout season in Columbus. But any other season, he'd be right there in the mix as none of those names mentioned is saddled with greater defensive responsibility than Tkachuk as part of Calgary's shutdown line. "He's a great player, very smart," said Backlund. "He's very strong on his stick and he's good at stealing pucks." He's also extremely good at getting under the skin of his opponent. All season he's been the NHL's runaway leader in drawing penalties. 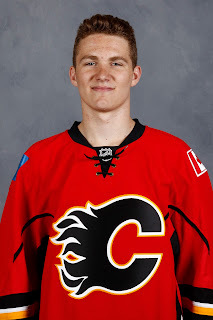 Considering the impact Finnish pest Ville Nieminen had for Calgary in the 2004 Stanley Cup run, I am fascinated to see how Tkachuk's game will translate in the playoffs. I'm fully expecting him to be that much better, if that's even possible. With the Flames on a 12-1-1 roll in their last 14 games, currently one point back of the Anaheim Ducks for second place in the Pacific, it's looking more and more like we'll find out in just over three weeks time.